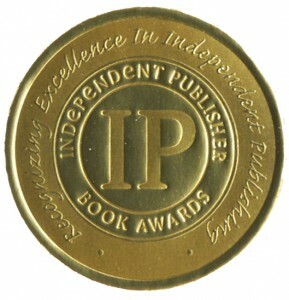 On May 2, 2012, awards for the last few categories of the 2012 IPPY (Independent Publisher) Awards were announced. Did your book receive an award? Mine didn’t, either. I’ve been entering the IPPYs for years. This was the first time I didn’t win something. Kinda shocking. It hurts to have your masterpiece spurned, but doesn’t hurt half as much as getting a one star review. That’s like a crossbow bolt to the heart, except you don’t get to die. You get to read those words savaging your beloved baby forever, or as long as your book’s Amazon page lasts. So losing in the IPPYs isn’t that bad. This is an article about dealing with not winning a book contest. Usually I write about how to win book contests. One of the things I say in those articles is that you can do everything I say to do to win and still lose. I just demonstrated that. Not winning in the 2012 IPPY (Independent Press) Awards brought to mind an actual event that happened to me in the olden days, before my body started disintegrating. I used to show horses. My family was into horses. That means: We’d blow the kids’ college tuition fund if a good show prospect came up. We were over-the-top, raving horse maniacs, like everyone else we knew. We bred, raised, trained and showed our horses, which were Peruvian Paso horses. That’s right, they originated in Peru. What follows is an uplifting to you (I hope), though extremely embarrassing to me, tale illustrating what can be learned through losing. Hang in there: This is more of a short (or medium length) story, than a blog post. Actually, it’s a free Kindle short. Azteca de Oro BSN & I at the Monterey show. This is NOT me riding Vistoso. I couldn't find a picture of the Big V and me. I'm riding Vistoso's full brother, Azteca, at the Monterey Fairgrounds. Close enough. OK. 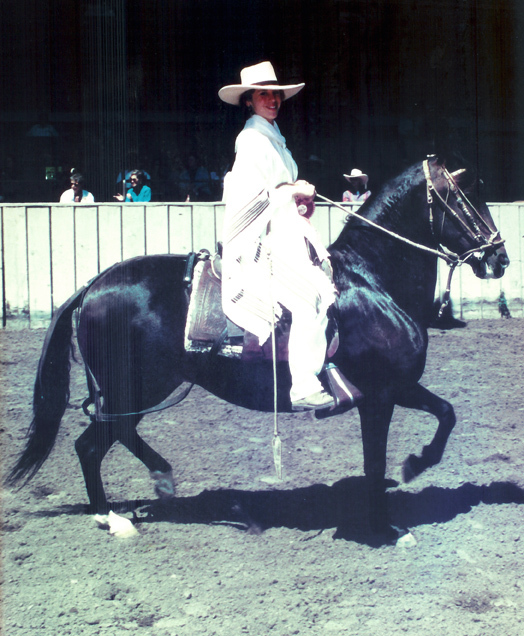 I was riding one of our top horses, Vistoso, at the Mission Trails Classic Championship Peruvian Paso Horse Show in Monterey, CA. The Monterey show was very large and prestigious. All the top ranches attended the event; winning was a real coup. Vistoso and I were in some class, most likely Performance Geldings, since he was a performance gelding. In performance classes, the horses don’t just zoom around the arena looking beautiful. They have to do something: stop and back up, go fast, go slow, turn in circles, reverse, and serpentine through poles set so close that the animals looked like snakes with manes and tails. We moved around the carefully groomed arena. The stadium surrounding us was filled with everyone who wasn’t riding a horse or getting ready to. Vistoso didn’t take a false step the whole class. 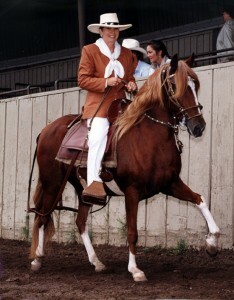 I could hear the four-beat sound of his gait, the paso llano, a slow gait particular to his breed. We were in perfect balance, horse and rider. Other horses were in the arena, but I knew we had it nailed. We’d win the class, go on to the championship competition, and win that. From there, Vistoso would become the new Champion of Champions. TWIGGY & LILY at Monterey–- This is my daughter Lily riding out of the arena on Twiggy, probably the hottest horse we've ever owned. Notice how the horse seems to be compressed horizontally, smashed from front to back. That's because she wants to leave the ring. If Lily let go of the reins, that horse would launch faster than something from Vandenburg Air Force Base. If you’re in the good pile, you’re that much closer to winning. Except that horses do not care about winning. They are herd animals: they care about being with their their buddies, who were leaving the arena. Horses in the good pile can become very anxious at this point. The judge sent us to the far end of the arena and the announcer began calling out winners, working from the lowest place to the highest. A couple of honorable mentions. Fifth place. Fourth . . . When their numbers were announced, riders piloted their horses to the flapping pavilion and picked up their ribbons. They then left the arena, the horses practically bolting as they neared the open gates. The higher your placement, the worse it gets. I was circling Vistoso at close to light speed as he became increasingly distressed watching his fellow equines escape. Finally, the Big V and I were the only horse/rider pair in the arena, except for this other woman on a little liver chestnut. (Yes, he was the color of liver.) I knew her. She was a really nice lady. Little horse. No sweat. The class was mine. I kept circling Vistoso, hoping that my triumph wouldn’t be overshadowed by him bucking me off. Then the announcer called the second place number. It was MY number! I came in second. That was impossible. I had won the class. No one could have had a ride as good as ours. I rode out of the arena with my lousy red ribbon. I was pissed off, and I stayed that way the rest of the day, and into the night. Evening fell, as it inevitably does. The big dinner dance was on. The Monterey fairgrounds have a really cool party set-up. Soft lights twinkled and the band struck up. A gorgeous buffet was laid out. Champagne flowed and folks in “Western/Peruvian formal” attire chatted it up or took to the dance floor. I made my way through the crowd, turned a corner, and ran smack into the show’s judge. My eyes narrowed and my back went up. The judge recognized me and put out her hand, grinning broadly. “Boy, did you ride that horse this afternoon!” Her praise was as heartfelt as any I’ve heard. She didn’t fool me. That class was MINE. “Well, if you liked us so much, why didn’t you give us the blue ribbon?” I said. You see, I’m a liberated woman. I’ve also taken nine million assertiveness trainings. I was not about to let someone ***** me over. I walked away, feeling slightly better and proud that I’d spoken up for myself. I was no wimp. Fast forward to the end of the show season, late Fall. I’m at the Los Angeles Equestrian Center in Griffith Park, Los Angeles, CA. The National Championship Show for the Peruvian Paso breed is in full swing. This is the big, BIG time. Griffith Park is a real equestrian center. Massive cement grandstands circle an over-sized ring, creating a bowl which is spanned by a very high and equally massive ceiling. The Nationals are like this: All the horses you’ve seen in the magazines are there with their famous trainers, equally famous ranch owners, and enough stable help to run a small resort. The barns where the horses are kept when not performing sport flags and banners and swags up and down the aisles. Each ranch has its signature colors. Videos advertising the ranches’ charms and horses for sale play at the end of each stall row. Multicolor ribbons flutter, too––whatever each ranch has won at the show is displayed front and center. Believe it or not, some ranches deck out their turf with potted palms and carpeting. It’s a spectacle that looks like it came out of George R.R. Martin’s Game of Thrones, but with more horses. My nervous system goes into overload and then flames out with the tension of the Nationals. I’d already blown the classes I was riding in. “The bad pile” was probably above my head in that company. I had plenty of free time, so I sat in the stands, watching the show. I jumped out of my seat when the woman who stole that class from me in Monterey rode through the gates. I leaned forward, teeth bared, a growl turning over in my throat. She was a petite, slender woman with rich dark hair. Her spine was erect, perfectly balanced as she sat the horse. Her stirrups were long, permitting her legs to extend downward gracefully. If you had dropped a line from the point of her knee, it would touch the tip of her toes. She held her hands low, almost touching the front of the saddle. Her equitation was plu-perfect. Her horse, the grubby little thing I’d dismissed, wasn’t so grubby when I looked at him carefully. Liver chestnut is actually a rich medium brown, very correct and conservative. The horse was small and fine, elegant, like its rider. They were a brilliant match of type and style. Her poncho, saddle, bridle, everything, was exactly what the rule book specified. The animal moved along, relaxed, but alert, and precisely gaited. Riding is one sport where the better you are, the less you do. You can see dressage riders in the Olympics whose horses are doing unbelievable things, but you can’t see the rider doing anything. The pair before me were like that. Exquisite. You know, there’s good riding, and then excellent riding. This was riding touched by angels. I had a sinking feeling when I realized what I’d done. I felt like my center of gravity was ten feet below the stadium and dropping. I remembered what I had said to that judge. My cheeks flamed. Embarrassment so powerful that you could almost see it washed over me. I had been so rude to that nice woman. I am still embarrassed about what I said, many years later. So there it is: I didn’t win because I didn’t deserve to. I didn’t know I wasn’t the best because I was busy riding my own horse and couldn’t see the others. Am I saying that your book didn’t win in the IPPYs because it wasn’t good enough? Well, . . .
Let’s take a look at that. 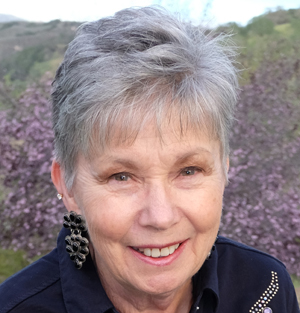 When you enter your book in a contest, it’s like entering the arena on Vistoso that day in Monterey. You’re busy with your own entrant and can’t see the competition. You don’t know how good the other entrants’ books were. And you’ll never know. Remember me mouthing off to that judge when you feel like screaming over your placement. Don’t embarrass yourself. 1. Walk away from it and never enter a book contest again. This is a pretty good option. Book contests are expensive. Aside from the cost of editing, proofreading, having my book designed and printed, along with the two years of my life I spent writing my book, Lady Grace, I forked out maybe $150 for the single category I entered. That includes the entry fee, postage, and materials for the press kit, which I included even though it wasn’t required. If I’d entered more categories or books, the cost would have multiplied. 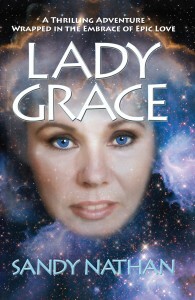 Lady Grace, my 2012 entry into the book contests. Finished moments before entries close,will the Lady have what it takes? As an indie author, do you need awards from book contests to sell your book? 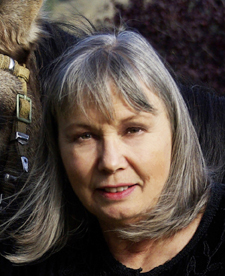 Let’s look at some of the most successful authors––indie or traditional––of our time. Take John Locke, the first indie published author to sell one million ebooks. John’s probably about to hit the two million mark by now. What did that get him? A lot of money and a contract with Simon & Schuster, one that he designed that meets his needs. (No yanking the indie author around.) And then we’ve got Amanda Hocking, who parlayed her young adult series into millions of book sales and dollars, and a contract with St. Martin’s Press. Darcie Chan, who published her book as an eBook after being rejected my the major publishers. She’s probably getting close to a million eBook sales by now and is a NYT Bestselling author, not to mention having a lot more loose change. What list of successful indies could leave out JA Konrath, the father of the “you can do better publishing it yourself” movement. Or M.J. Rose, probably the first author to go the self-pub route. Did any of these people use awards from book contests for independent presses as their springboards to success? No. Did any of them enter such contests? Not that I know of. From these success stories, it looks like not entering book contests may increase your chances of success. Figuring out how to effectively sell your book is way to go. 2. Say you want to win prizes and enter more contests. What then? I’m like that. A compulsive competitor. 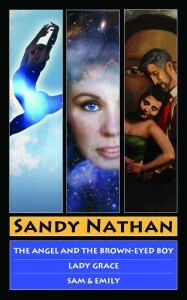 I like to say, “Hi, I’m Sandy Nathan, award-winning author. I’ve won . . .” I like stickers and medals and certificates. I like to increase the number of wins I’ve got and post the new totals all over. Look at my website, for Pete’s sake. If that isn’t ever conspicuous flashing of glitz I don’t know what is. You’re like me, you didn’t win the IPPYs this year, but you want to try again. Read the article below and follow it. This is my famous “What I do to win book contests” article. Do all that and enter your new book next year. Or––take a look at your book and what you’re writing now. The IPPYs are a huge, prestigious contest, like the National Championships I described above. Are you up to that competition? If you don’t think you you can make it in the rarefied atmosphere of the IPPYs, pick a different contest. My article on how to win book contests has links to some very nice smaller contests. Maybe one is just perfect for your book. 3. If my recitation of what you actually get out of book contests sticks in your craw, pick a contest with really good prizes. Good prizes are a reason to compete even if you’re horrified by what I’ve said above. I’m sharing a secret now. 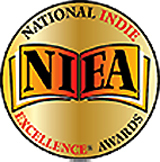 The 2012 National Indie Excellence Contest has killer prizes. Check ‘em out on their web site. They have regular winner and finalist prizes for the various categories, but the overall winners get stuff like thousands of dollars of services from top publicists. That’s worth competing for. It’s too late to enter this year, but 2013 is coming fast. 4. What does winning really mean? 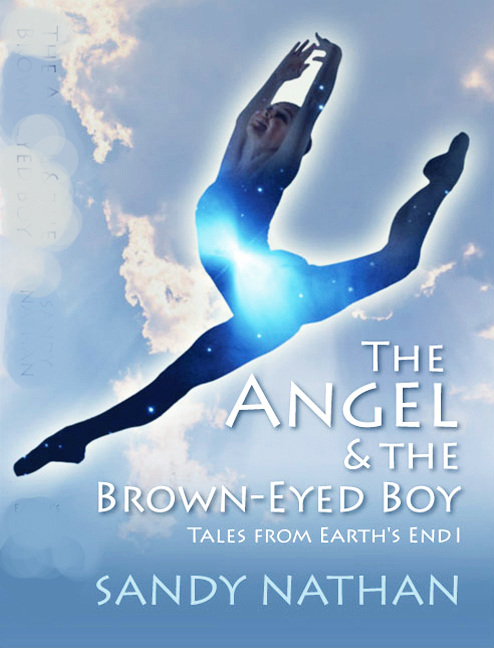 In 2011, I was thrilled and delighted when my book The Angel & the Brown-eyed Boy won the Gold Medal in Visionary Fiction at the IPPYs. I’d won in previous IPPYs, but never a Gold. I feel tremendous gratitude to the people putting on the contest for acknowledging my book as they did. The Angel & the Brown-eyed Boy is Book I of Tales from Earth’s End. The series is a fantasy/sci-fi/visionary fiction tale about people pushed to the literal ends of the earth. In The Angel, nuclear holocaust looms as the characters work to mend their past “business” and figure out how to survive the destruction of the planet. The Angel is a good book. It’s an important book treating the possibility of nuclear weapons destroying our world, as well as what can come from an economic disaster which is not successfully resolved. It’s beautifully produced and has a killer cover. I like this book very much. 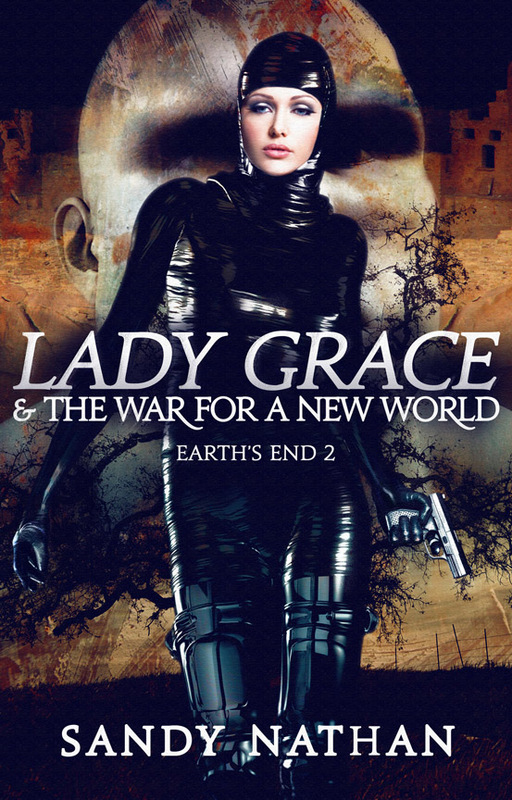 Lady Grace is the second book in the Tales from Earth’s End series and was my entry in the 2012 IPPY Awards. Lady Grace sets out what happens to a small group of survivors of the nuclear war as they begin to create a new world. Every book professional who has touched Lady Grace has told me that it’s not just better than The Angel, it’s way better. “Your pacing, the plotting, the characters––all are terrific. This is the best writing you’ve done.” That was my editor. Others have said the same sort of thing: I’ve hit my stride with Lady Grace. I knew it, too. A woman in my book club who told me she’d hated everything I’ve written called me babbling in rapture after reading Lady Grace. “It’s fantastic, Sandy. It’s the best book I’ve ever read. How did you do that? Where did you come up with all that?” And more, she went on and on. I loved it. Lady Grace, my 2012 entry into the book contests. Finished moments before entries closed, Lady Grace was left in the paddock area at the end of the race. OK. The Angel won the Visionary Fiction category in 2011, for which I will be eternally grateful. Lady Grace didn’t win anything in 2012, but it’s a better book in every way. Except maybe its cover. The version I submitted was straight off the presses; it might have been a proof. The print copies of the book arrived so close to the contest’s deadline that we didn’t have time to make adjustments in the cover or anything else before shipping them off to the IPPYs. The final issue I’m raising is about judging. I’m not doing the snotty thing that I did to that poor judge in Monterey. 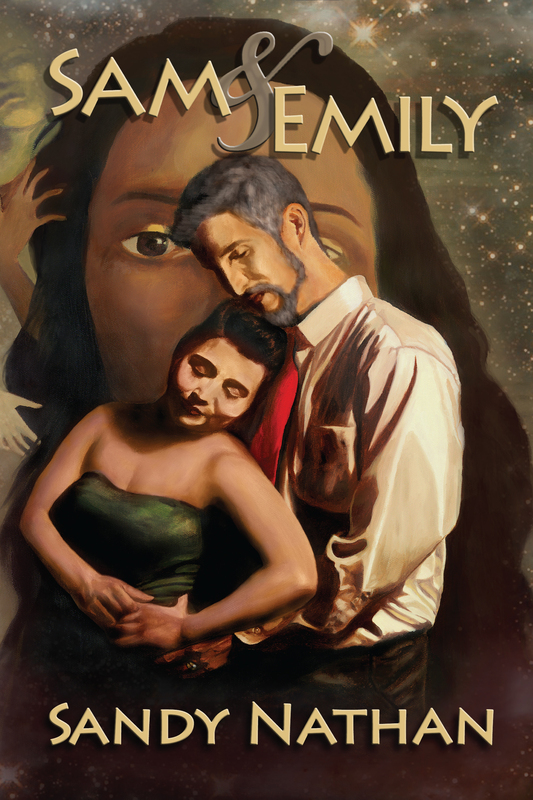 I realize that the emerging National Champion of Champions might have been entered in the Visionary Fiction category in 2012. I don’t know what the competition was, or what the competition was in 2011 when The Angel won the Gold. It’s just really weird to me that a lesser book should win the competition and a superior one not even place. Did the judges read it? Maybe totally different judges were working in 2012, and they had different preferences. You see that showing horses all the time. Some judges hate a particular type, while others love it. Maybe the fact that the cover wasn’t totally jelled knocked it out. That’s possible. We’ve since modified the cover, cleaning up the colors and changing the tag line. A lot of things could have happened, and some of them must have. What does the judging mean? What do you win when you win? Are the winners really the best books? What does an award mean? So, campers, we’ve finished our romp through Contestland. I don’t know if I made you feel any better after your non-award, but maybe I made you more thoughtful. I look forward to hearing from others about their contest experiences. Would you do it again? What did it do for book sales? Your career? At Last I Know Amazon Cares . . . The Amazon logo doesn’t show up here. Neither do the cool hot links, Buy button going to Lady Grace, or any of that. But here it is: the text of that email and proof that Amazon cares. Lady Grace & the War for a New World: This is the new cover and new title of the old Lady Grace. In the absence of official links from Amazon, I'll give you the cover here. The cover was on the Buy button on the actual email. The Earth is devastated by a nuclear holocaust. Technological wizard Jeremy Edgarton and a few of his friends are whisked off planet moments before the horror by the goldies, a race of super-evolved aliens who seem too good to be true. Unfortunately for Jeremy, that’s exactly what they are. Now he wants out. Jeremy’s mother, Veronica Edgarton, is awakening from a cryogenic sleep in a chamber deep beneath the ice near the North Pole. She faces life with one of the most ruthless and cruel men ever to have lived. She is not the kind of person to take this lying down. See more in Books > Science Fiction & Fantasy > Science Fiction > Adventure [This link goes to The Angel & the Brown-eyed Boy, Earth's End 1. And the crowning glory: The Amazon signature! Now that you know Amazon cares about my work, you can feel reassured and care about it, too. My, oh, my. Times change and things get outdated. Randomly checking my posts on 3/11/15, I found that names and links are outdated. The three books Earth's End are in Kindle and print forms right now–but they've been retitled and gotten new covers. Same books. Click below and be transported. 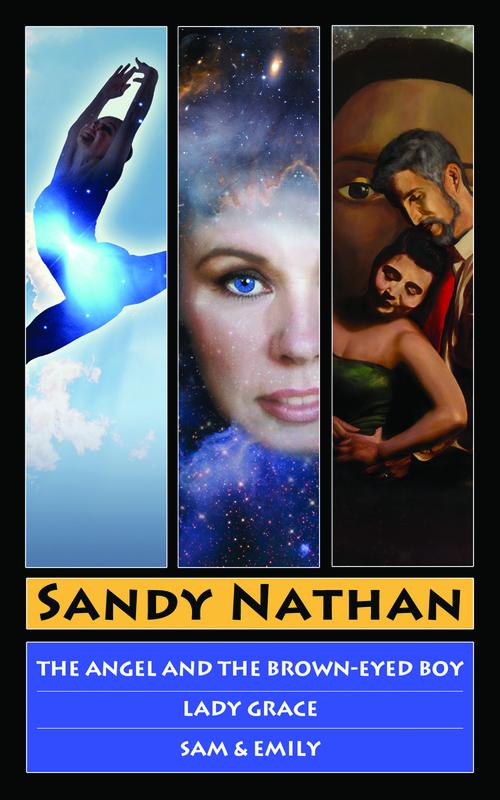 Sandy Nathan is the winner of thirty national awards for her writing. 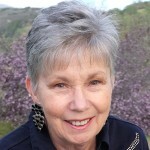 She’s won in categories from memoir, to visionary fiction, to children’s nonfiction. And more.